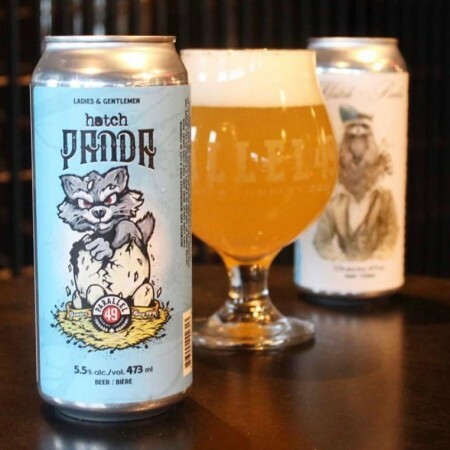 Hatch Panda is the best of the Okanagan and East Vancouver. Our brewers met with Kelowna’s team of winemakers from the Hatch Wines, to develop this Hazy IPA gently crafted using Gewürztraminer grape must from BC’s wine country. With a smooth mouthfeel and juicy, tropical esters from the addition of Gewürz grape juice, this Panda is like one you’ve never tasted before. Hatch Panda is available now in 4-packs of 473 ml cans at Parallel 49 and select liquor stores in British Columbia.